We are well into the Spring! 1) Daylight Saving Time begins this Sunday! If you ever have trouble to remember whether to rewind your clock backward or forward, just remember this: Spring Ahead, Fall Back. Please adjust your clock this Saturday night before you retire for the day. You will see sunshine an hour earlier! 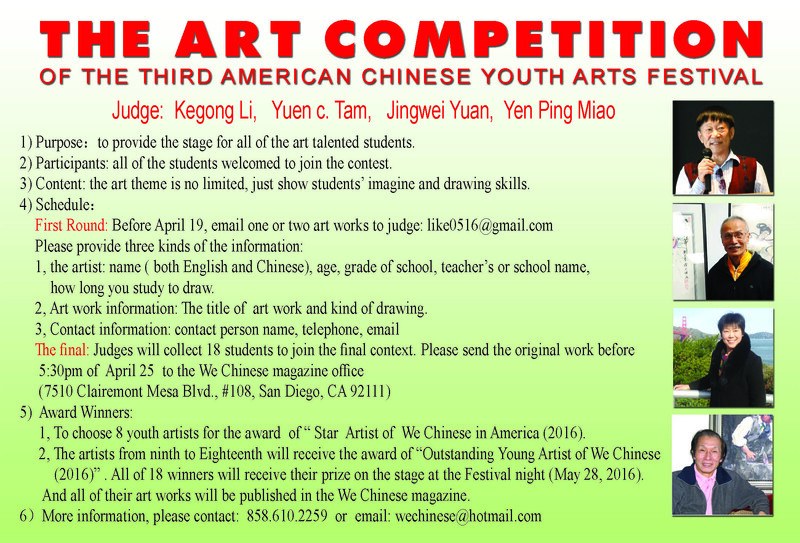 2) The 3rd American Chinese Youth Art Festival is calling on submissions for Speech Contest (deadline 3/26) and Art Contest(deadline 4/19). Students, your talent is precious, and there is no better way than present it in the spotlight! Please refer to the attached flyer for details. 4) HOC Essay Contest. All students are highly encouraged to participate in this annual contest. 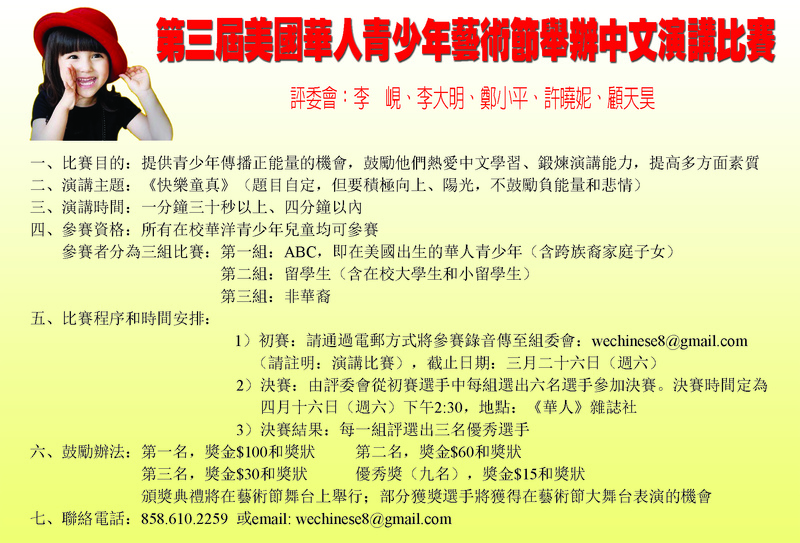 Show your Chinese writing skills and get recognized! I know you can do it! Application is attached here again. 5) Credit Program (CP) Speech Contest is on this Sunday. Contestants need to be on time. 6) No food in classroom! Teachers, please pay special attention to this policy.